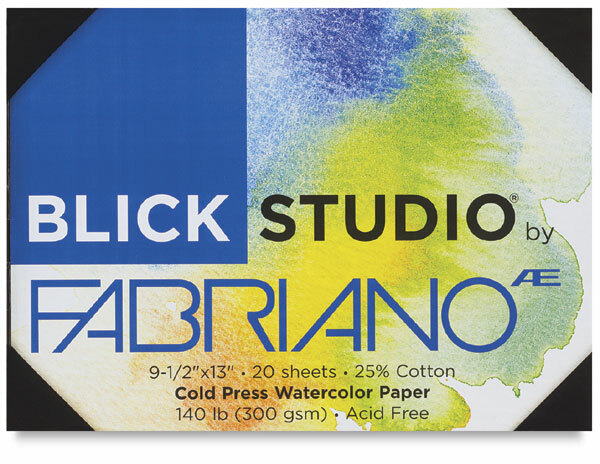 Available in both cold press and hot press surfaces, Blick Studio Watercolor Paper by Fabriano is excellent for watercolors, tempera, gouache, acrylics, inks, markers, drawing materials, and mixed media. This unique 4-corner pack allows easy removal and storage of sheets. 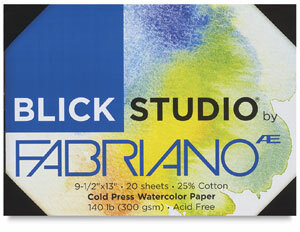 Pack contains 20 sheets, each of which measures 9½" × 13" or 13" × 19".